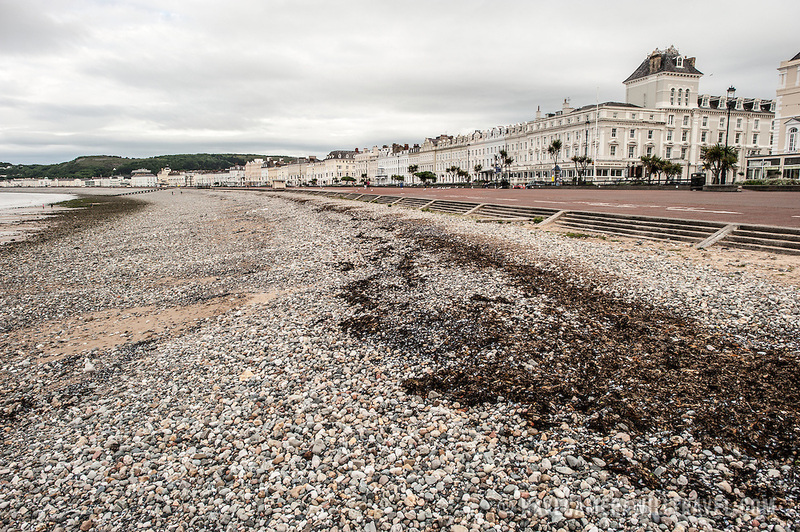 The pebble beach of the Welsh beach resort town of Llandudno. At right is the wide walkway and road known as The Parade. The town itself sits on a peninsula in northwestern Wales.